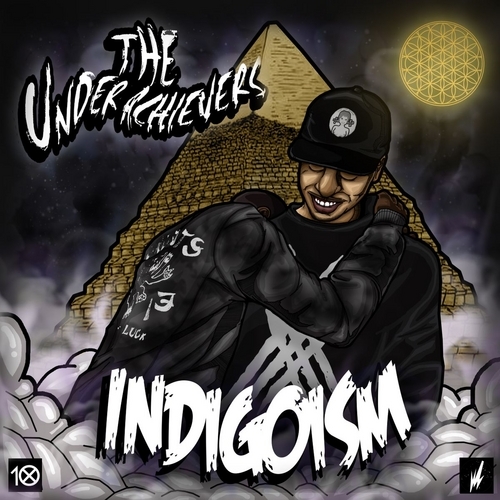 DOWNLOAD The Underachievers Indigoism 1. Philanthropist (Prod. Blacktophero) 2. Revelations (Prod. Lou The Human (Tribe Gang)) 3. So Devilish (Prod. air max soldes Dreamrite) 4. Sun Through The Rain (Prod. Eff. Dope (Tribe Gang)) 5. Maxing Out (Prod. Rich Flyer) 6. sac a dos fjallraven soldes Herb Shuttles (Prod. Roca Beats) 7. T.A.D.E.D. Kanken No.2 Baratas (Prod. Mr. Bristol) 8. New New York (Prod. Entreproducers) 9. Stephen Piscotty Jersey Land Of Lords (Prod. Taleil Brown) 10. 6th Sense (Prod. Entreproducers) 11. New Balance 1600 hombre My Prism (Prod. asics kayano 21 hombre Rich Flyer) 12. Gold Soul Theory (Prod. chaussures de foot adidas Rich Flyer) 13. Potion Number 25 (Prod. Bruce Lee Kixxs of Pro Era) 14. The Mahdi. (Prod. New Balance 515 hombre Marcasso) 15. Leopard Shepard (Prod. Dreamrite) 16. Root Of All Evil (Prod. Mr. Bristol) 17. Play Your Part (Prod. Mr. nike air max 90 uomo Bristol) “A friend sent over one of their videos. The first song I heard – ‘Gold Soul Theory’ – was perfect. asics kayano 21 mujer Goedkoop Nike Air Max I heard it and I didn’t even have to hear a second song. I couldn’t figure out why these kids weren’t killing it right now. Taylor Martinez College Jerseys It blew me away how professional everything was, but also how forward thinking and spiritually minded these young kids were. It just made complete sense. Within the first 20 seconds I was pretty sure I was going to try to sign them. I never get that feeling.” – Flying Lotus “Born in Brooklyn, raised in Flatbush,” Ak and Issa Dash – aka The Underachievers – have arrived. new balance 993 outlet From the moment their first music video, ‘So Devilish,’ surfaced in May 2012, the duo set themselves comfortably in their own lane. The young rappers have since evolved from creating a DIY movement in Brooklyn to shutting down stages on tour with Kendrick Lamar and taking on the world, one hypnotic video at a time (clocking over 2.5 million Youtube views). With a raw energy that feels almost reminiscent of 90s hip hop, they shook the game up with a refreshing new voice, bringing plenty of psychedelia and heightened lyricism into the mix. 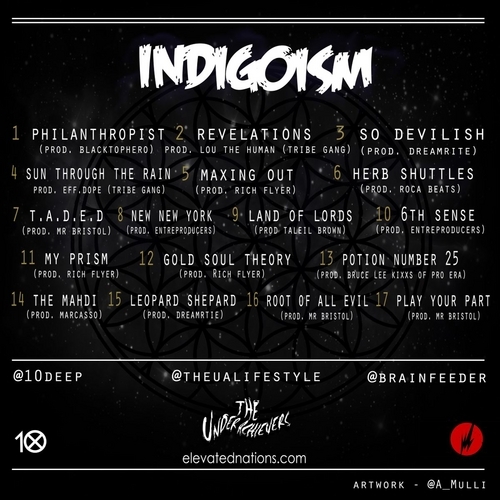 As members of the Beast Coast movement (which includes Joey Bada$$ and his Pro Era crew), The Underachievers are part of the new wave of rappers that have been coming out of New York. Nike Air Max 2016 Heren grijs But they’re also repping the West: last summer the duo signed to Flying Lotus’ label in LA, Brainfeeder. fjällräven kånken Laptop 13 ‘Indigoism’ marks the first Brainfeeder/Underachievers collaboration. Dropping February 1st, the 17-track mixtape features the duo’s underground hits (including ‘Gold Soul Theory,’ ‘Herb Shuttles’ and ‘Leopard Shepherd’), in addition to brand new tracks produced by the likes of Mr Bristol, Rich Flyer, The Entreproducers, Bruce Lee Kixxs, Juice and Lou Chapo from Tribe Gang, and Dreamrite. Listening to their sage lyrics, it’s hard to believe they’re only 21 (Ak) and 22 (Issa Dash) years old. And on the strength of ‘Indigoism,’ it’s near impossible to believe that up until 9 months ago, Ak and Dash had no set intention to be in the rap game at all. Previous postThundercat - Autumn 2013 North American Tour Next postAzizi Gibson "Band of the Hawk"